Floatation therapy might sound something completely new, but it’s actually a pretty old practice. In fact, people all over the world have made pilgrimages to the Dead Sea for thousands of years. But, there has been some newly-found interest in floatation therapy, especially in the last 10 years or so. The history of commercial floatation therapy started in the 50s with John C. Lilly, a psychoanalyst and neuroscientist who was convinced in great benefits of floating. He dedicated his life to studying the effects of floatation on all sorts of ailments and disorders from anxiety to addition. Impressed by the research results, Lilly and his associates created the first commercial floatation tank we know today. 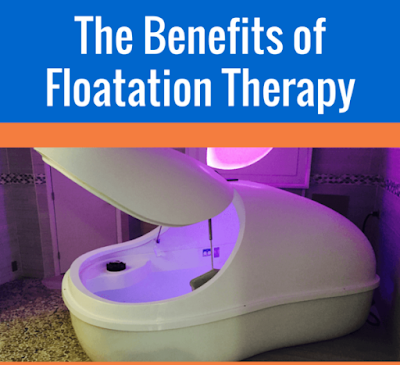 Now, we have luxurious floatation studios that offer relaxing floatation sessions all over the world where you can treat your health and mental issues. Here are the three major benefits that will make you hit a floatation tank. The biggest benefit of floatation therapy is seen in people suffering from heavy stress. There are two ways in which floating battles stress. Firstly, the water in the tank is filled with magnesium sulfate which helps calm human nervous system and enhances the body’s healing processes. Secondly, the tank provides a deep sense of relaxation and peace which also helps battle stress and anxiety. Many users report feeling more grounded, mindful and present after their floatation session. Some describe this feeling as being given a good pair of corrective glasses after living with the wrong prescription for years. This makes floatation a very effective yet natural and non-invasive way to shed stress and fight stress-related illnesses. Floatation also helps battle chronic fatigue and burnout thanks to its relaxation properties. People report a boost in mood and performance at work after only a few sessions. For people who suffer from chronic and stress-related pain as well as those affected by burnout-related depression, floatation proved as a great treatment plan. Floatation replenishes the body with fresh oxygen that promotes better blood circulation through limbs, organs and brain which minimizes pain. While floatation provides pain relief to people with muscular and spine pain, it’s especially beneficial for those suffering from fibromyalgia. Floating in a tank boost relaxation, improve well-being, raise energy levels and easy movement in people with this disorder. Floatation can also help with pain people don’t even realize they had. Stiffness in lower back, shoulders and neck is a very common in modern humans, especially those with a sedentary job. After just one floatation session, many people state that their pain and tension completely disappeared. Thanks to deep relaxation floatation provides, it can be used as a natural painkiller that not only rids you of pain, but also improves recovery and eases muscle tension. Insomnia and other sleep problems have various negative effects on the human body and mind. Sleep deprivation affects everything from mood and focus to infections and cardiovascular diseases. Getting enough sleep is crucial for normal brain function as well as keeping your body healthy and fit. Luckily, floatation therapy can help regulate your sleep cycle and provide you with better sleep quality. Just two hours of floatation a week for several weeks can relieve insomnia symptoms. It relaxes the body and mind, clears it of all negative thoughts and refreshes one’s life perspective. This allows people to finally get a good night’s sleep. Even people who don’t suffer from sleep issues report significant improvements. They find that they sleep much deeper and wake up rejuvenated and full of new energy to tackle the day. If these major benefits weren’t enough, floatation also boosts beauty. Magnesium sulfate from the water is a natural exfoliator that will remove all the dead skin cells from your body and expose smooth and glowing skin underneath. These salts also strip gunk from the hair making it shiny and boosting its natural restoration processes. So, if you want to experience any (or all) of these amazing physical, psychological and aesthetic benefits, find a good studio near you and get ready to float! During the first few minutes of your session you might feel a bit restless, but once your body and mind get used to the sensory deprivation, you’ll simply feel like you’re on Cloud 9.